Living out of a suitcase might seem like a dream life but it’s not an easy one. So, if you are looking for a place to unwind, book an appointment at NeoVeda Spa. While the spa does offer many kinds of therapies, I would suggest going for the signature ones. I went for the NeoVeda Journey which was a complete head to toe, scrub to shower treatment. The treatment takes two and a half hours but I kept a good four hours with me. And I was glad about that. The scrub had a very fresh and rejuvenating fragrance. Absolutely pure essential oils with therapeutic qualities are used. Besides relaxation, this journey stimulates the cells and tissues and promotes secretion of hormones. It helps combat muscle stiffness and relaxes the lymphatic system. Not only are the therapists polite, they are also good at the massages. You can state your preference. Showered after the scrub, it was time for a massage. Avono from Nagaland went about her task with a lot of patience and was not in any hurry. The journey ended with Shirodhara. This 30-minute process completely washed out the last remaining stress. As the oil slowly poured over my forehead, I slipped into a relaxed sleep. There is steam to blend in the oil completely. The end result is a relaxed body, mind and spirit, and a soft, smooth skin. The effect of this treatment lasted for a good two days with complete ease of movement and disappearance of all the pains and aches. 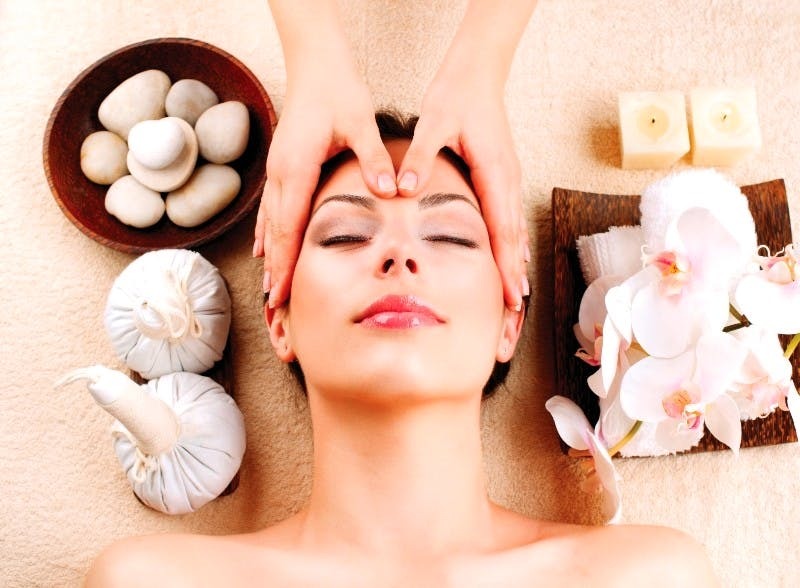 The spa is based on the concept of new Ayurveda. The warm brown décor in the rooms is calming and inviting. If you have time, you might like to sit back and relax in the common area or simply enjoy your green tea there. The premises are clean and the therapists are well-trained. Do consult the spa manager and you might like the suggestions coming your way. At least, I did. The spa menu comprises classic and modern treatments, massages, scrubs, wraps, facials, baths, foot and hand care, slimming, toning, and firming techniques. There are different treatments for those pressed for time. Should you like to buy the NeoVeda products, they are available at the Craft House within the hotel premises. It’s best to make an appointment. The spa is open from 8 am to 10 pm.